What a great find for a Sherlock Holmes fan! 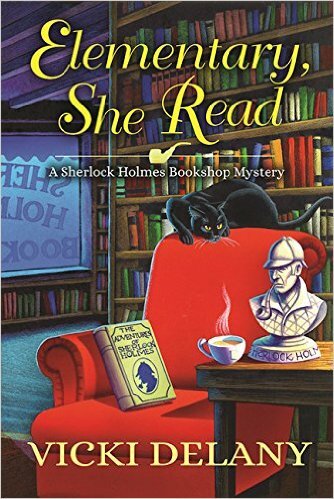 Elementary She Read is the first in a new series about Gemma Doyle, who runs a Sherlock Holmes Bookshop and Emporium, which I very much wish I could visit in real life. When the owner of a rare magazine is murdered and Gemma finds the body, she becomes the prime suspect. Gemma and her friend Jayne investigate to clear her name. This was a well written mystery with a charming setting and some unique characters. I’ve loved Vicki Delany / Eva Gates’ other mysteries, and this is now one more to add to my always-buy list. Oooo! Definitely a must read! Thanks for hosting Vicki today, Erika! this would be a new series for me. Would love to try it. I ‘m looking forward to reading the book. I liked the description of the book and I really liked the Lighthouse Library series and I’m sure this series will be just as great. 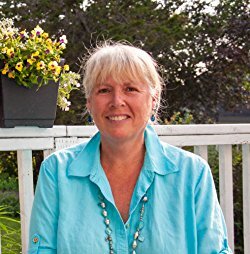 Thank you for hosting Vicki Delany’s latest book on your blog. I have it on my to be read list and hope I’m the one chosen. Does sound like a good one and I like a series of books.